Israel borders four states – Syria, Egypt, Jordan and Lebanon, and two entities – the Palestinian authority in the West Bank and Hamas in the Gaza stip. In recent years, despite incidents on the border with Syria and Egypt, the basic strategic status quo with these countries has not changed, and the overall balance of power between Israel and the Arabs has been maintained. Due to its military might, none of Israel's Arab neighbours are able to defeat it. Israel, however, for political, economic and military reasons, avoids enforcing its will and interfering in internal Arab matters and has successfully managed to stay out of the Arab turmoil. Israel, the Arabs and Iran gives a detailed overview of the various national security challenges that Israel has faced since 2011. It explains the key considerations and constraints Israel has had to deal with on several fronts, from its northern border with Lebanon to its southern border with Egypt. The book provides the reader with a deep understanding of why and how Israel has struggled to keep the status quo, whilst a large part of the Middle East remains in turmoil. 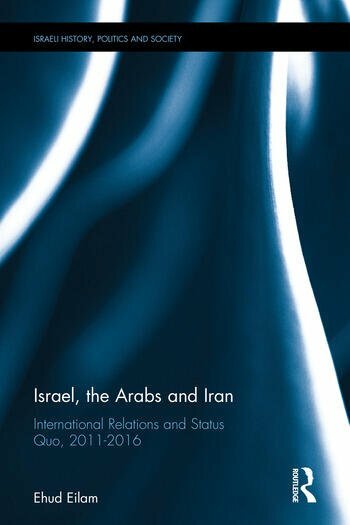 The book is aimed at anyone studying Israel, its Foreign Policy, Middle Eastern Politics and International Relations. It will also appeal to government officials, military officers and anyone working or interested in national security issues concerning the Middle East and particularly Israel. Dr. Ehud Eilam has been dealing and studying Israel’s national security for more than 25 years. He served in the Israeli military and later on he worked as a private contractor for the Israeli Ministry of Defense. He is now a writer and an independent researcher.